From the mausoleum we drove on to the town of San Yuan which is quite a small place (relatively speaking). 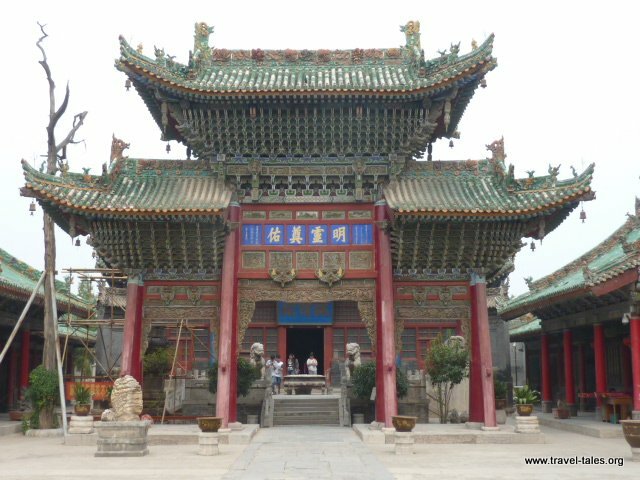 Here there is a temple which is dedicated to a General from the town who has now become a god and is worshipped as such. The people of the town still worship him and care for the temple. There is a strong link to Buddhism but we were unsure of the details. 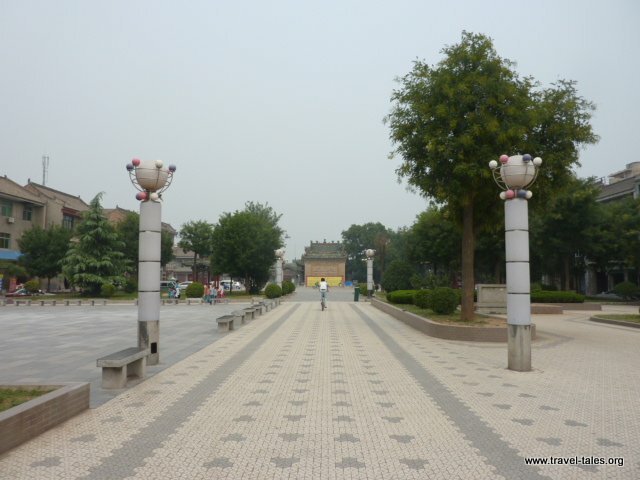 There is a long open avenue after passing the screen at the first gate, leading through a number of courtyards before arriving at the actual temple. In one of the courtyards there is a stage at about 1st floor level and in the summer an opera is put on there. As in other temples there were a number of different gods for various aspects of life – health, wealth etc. We then had lunch and this time the guide sat and ate with us and discussed things with us. San Yuan is supposedly famous for flour noodles, local pickles and flour soup; we certainly had some soup which was different to any we had had before and tried the noodles as well as a sweet dish made a little like pancakes. 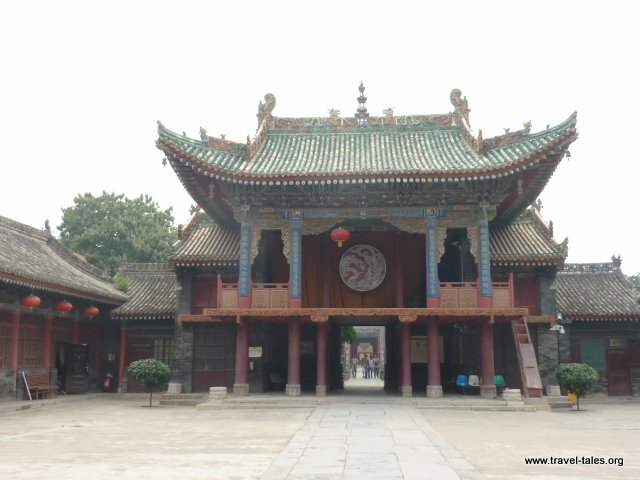 San Yuan’s temple is definitely a hidden gem north of the city.